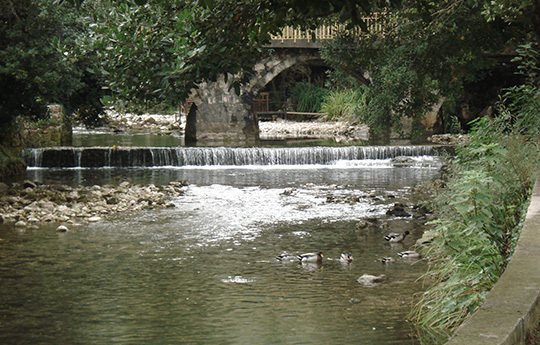 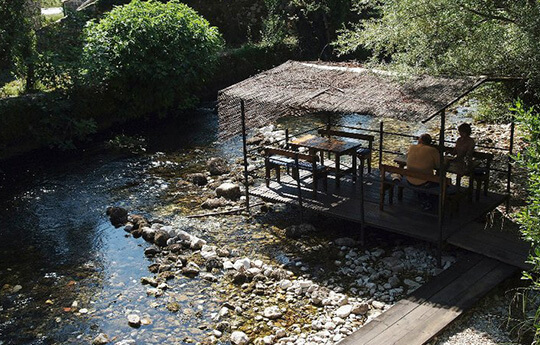 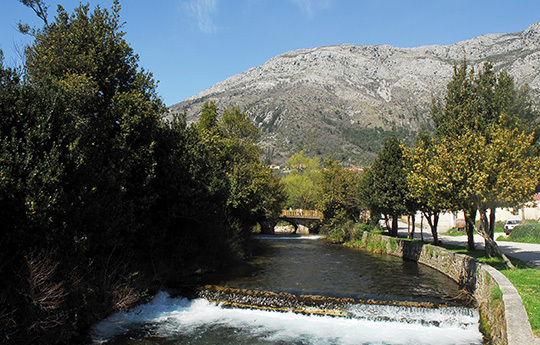 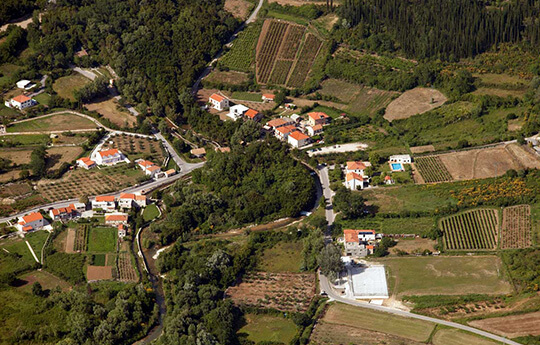 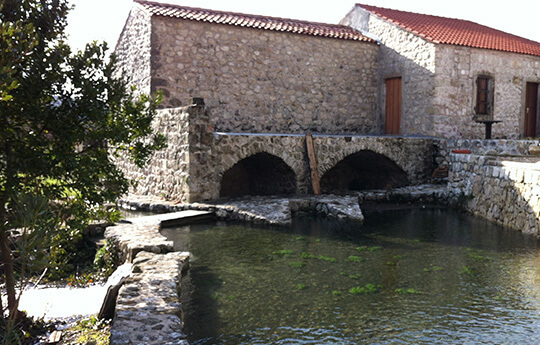 In the heart of Konavle, in little village Ljuta, in protected landscape of river Ljuta, is situated KONOBA VINICA – “Monković”. 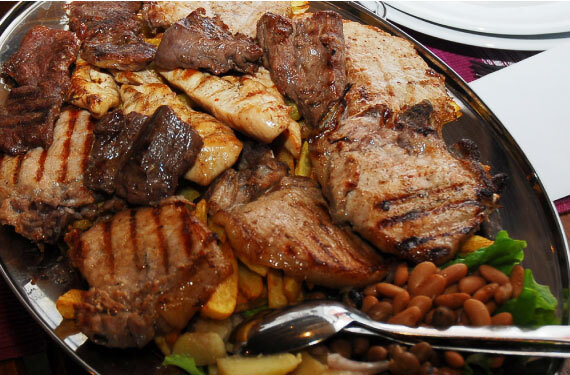 For all real gourmands we offer authentic Konavle’s and Dubrovnik’s dainties. 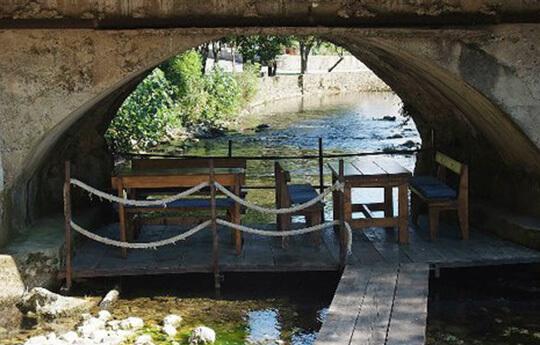 Visit Konoba Vinica and enjoy in traditional homemade specialties, homemade wine and pleasure atmosphere near the river Ljuta. 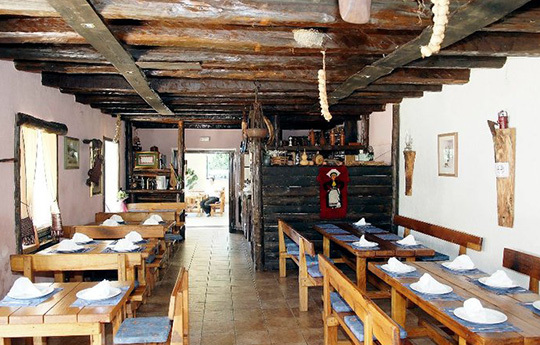 As part of Konoba there is also small wine and souvenir shop in which we offer huge variety of Konavle’s wines and traditional homemade products. 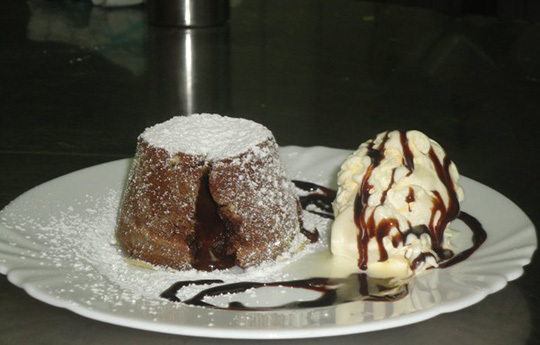 Our kind staff will fulfill all your wishes. 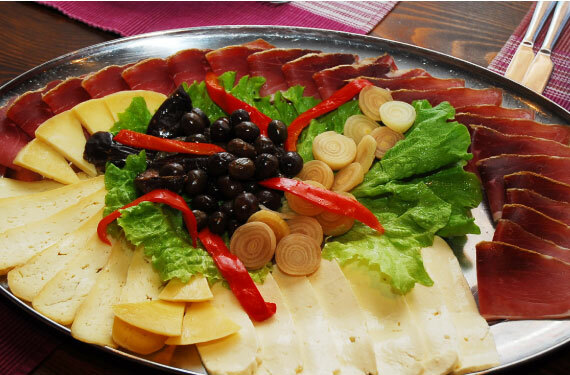 Homemade ham from Konavle region salted and dried in a traditional way and sliced by hand. 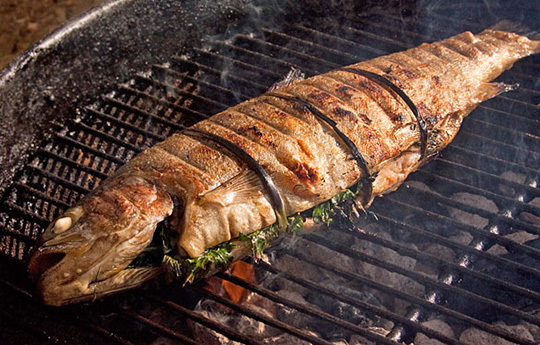 For meat and fish specialties we only use wood for grill which gives special taste and smell to our dishes. 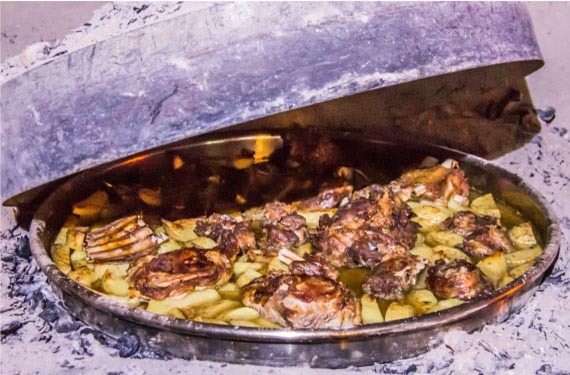 Under "peka" - traditional slow baking way of preparing lamb and veal with potatoes from Konavle. 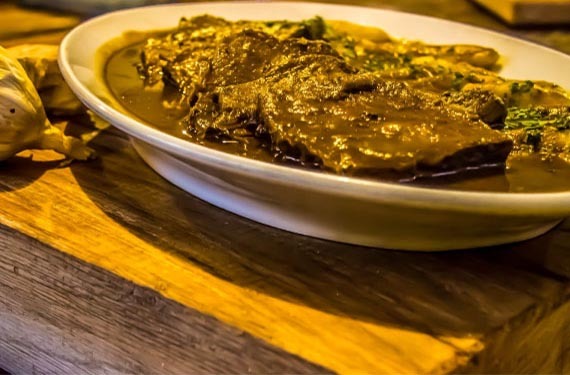 Beef stuffed with little pieces of pancetta, carrots and garlic,then marinated and cooked in a traditional Dalmatian way and served with homemade potato dumplings.